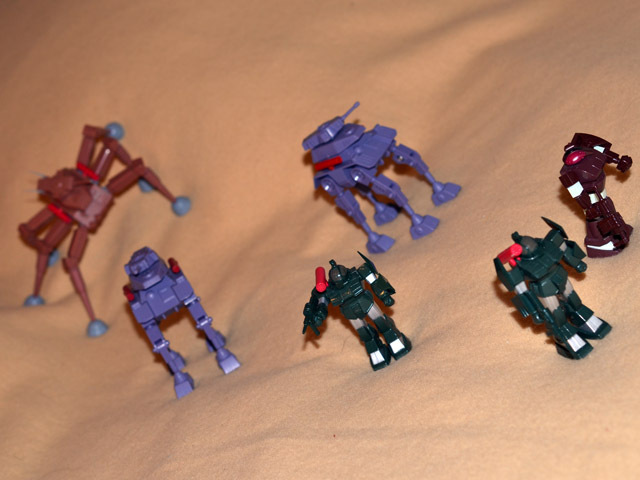 Fang of the Sun Dougram is one of my favorite mecha series, and the old toys are fantastic. 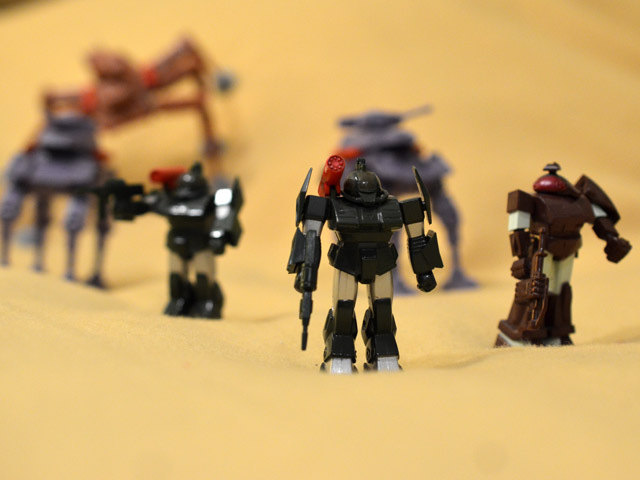 The 1/144 series manages to strike a great balance of diecast, solid construction, and sharp details into a small size that allows for army building and some nice Real Robot diorama action. 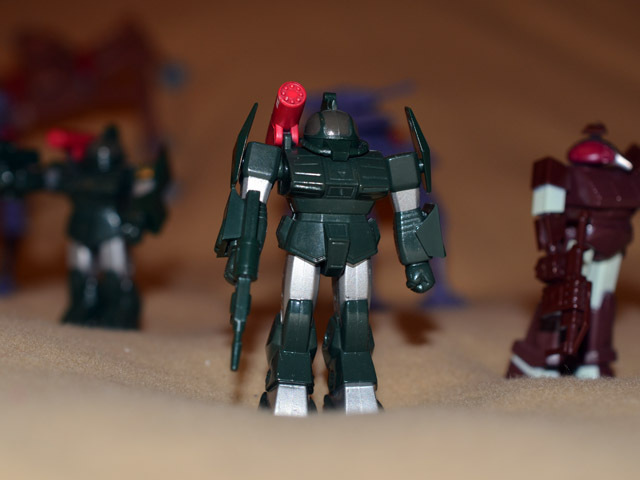 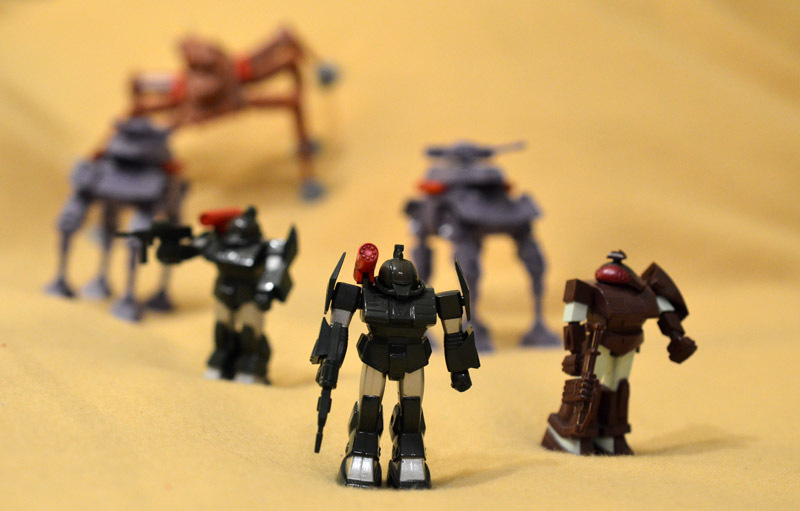 Here’s an Earth Federation patrol on maneuvers in the desert. 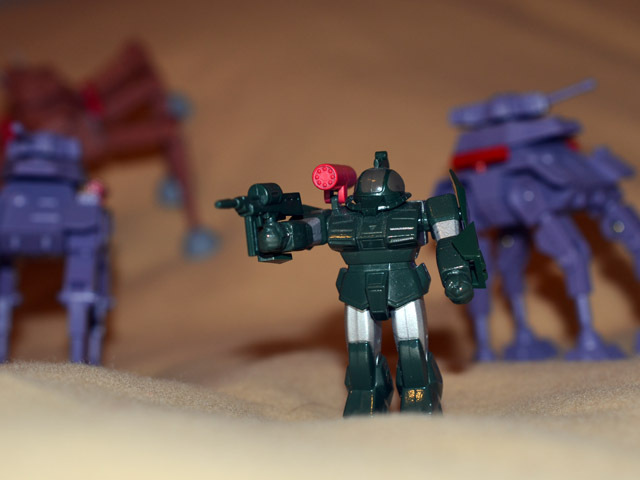 Spotted by a recon flyover.